Three years ago my wife and I visited Zion National Park, Utah, USA for a few days during one of our touring holidays on the other side of the pond and one day after a nice hike, we stopped at Wildcat Willies in Springdale for some food. It was a welcoming place and I quickly made a new friend. and some of it was just interesting. 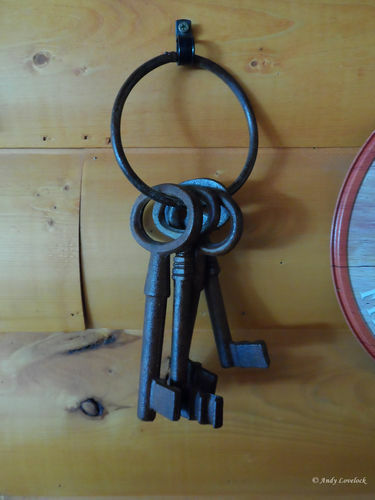 One thing that caught my eye was a bunch of old keys (presumably for the jailhouse). I thought they would make a challenging hotel room carving project, so I took a quick photo to remind myself to have a go. 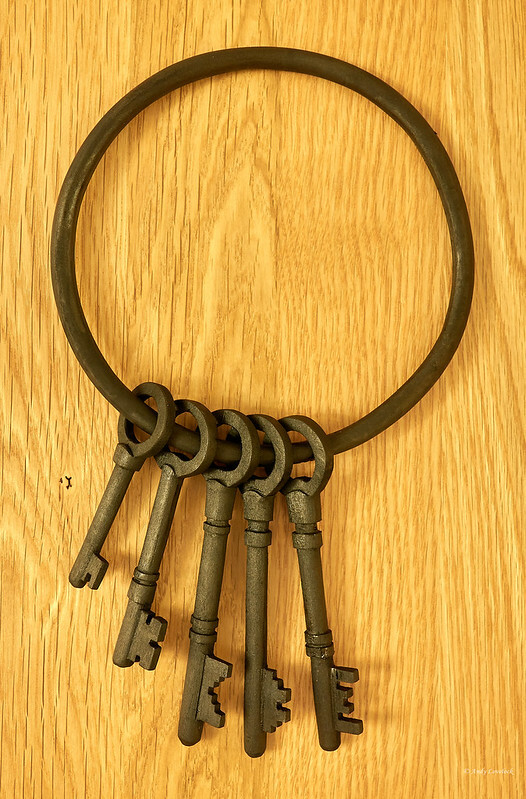 I didn’t set out to make an exact replica of these particular keys, I just used them for my inspiration. 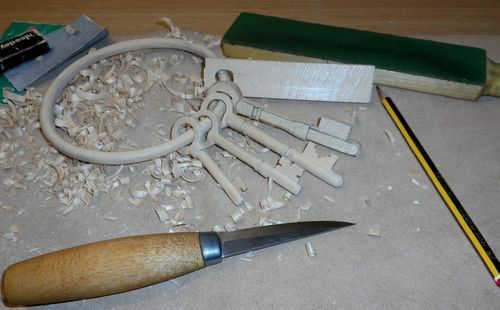 The project started out in my workshop as a short plank of lime wood as wide as the key ring and as thick as the keys. Try to imagine how many saw cuts I had to make and which saws I needed to cut out the basic blank. You’ll have to imagine it, because I didn’t take any pictures of that bit. LOL. 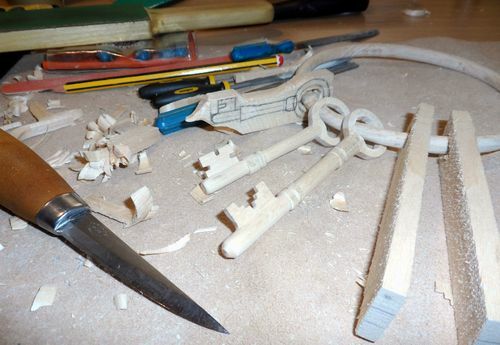 Let’s just say it was a lot of careful sawing by hand before I could start carving. 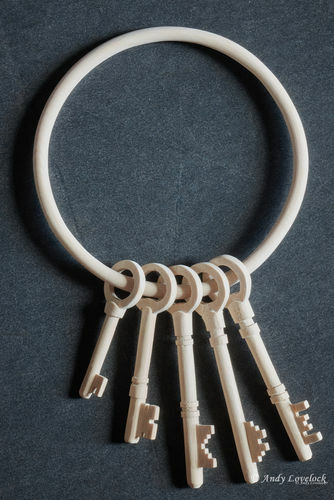 The next thing was to carve the ring to its approximate diameter and separate each key blank from the ring itself so they could move freely around the ring without fear of snapping it. 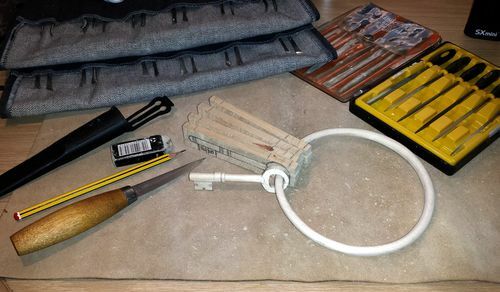 The rest of the work was all done in various hotel rooms with a Mora carving knife, some small files and a modicum of profanity. I say that because the most frustrating thing about this project was the awkwardness of it. 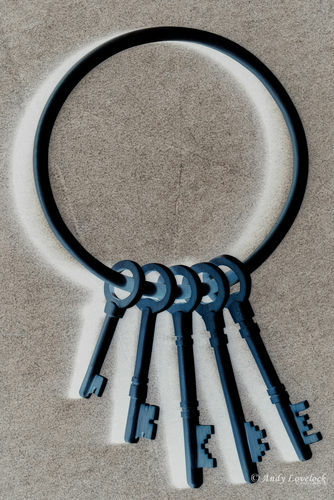 I found that when I was working on a particular key, I had to constantly be aware of where the other keys and the ring were and arrange them so I didn’t inadvertently put pressure on them. Because of this, I kept putting this project aside for a few months and then picking it back up again. I can’t tell you how many times I wanted to throw this project at the wall. Obviously I didn’t, but needless to say I’m relieved to call this one done. Here’s some progress shots at various points along the journey. and used my photographic software to show the inverse of the image. To my mind the keys looked more realistic coloured black and seemed to have more weight to them, so I decided to go with that. 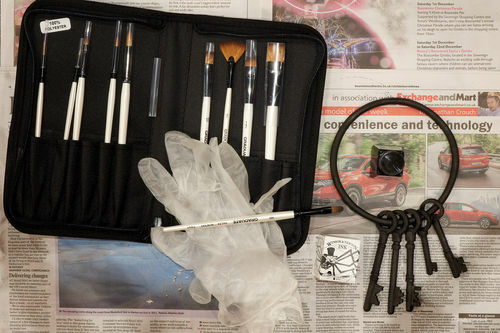 Now there are a number of ways to ebonize wood. Perhaps the most commonly known is to stuff a load of de-greased steel wool in a jam-jar, fill it up with white vinegar (which is 5-10% acetal acid and 90-95% water), screw the top on, wait a week and then hope for the best. IMPORTANT – You must punch 2 or 3 holes in the lid to let it off gas. When you apply the mixture to wood, you are relying on a chemical reaction to turn the wood black. 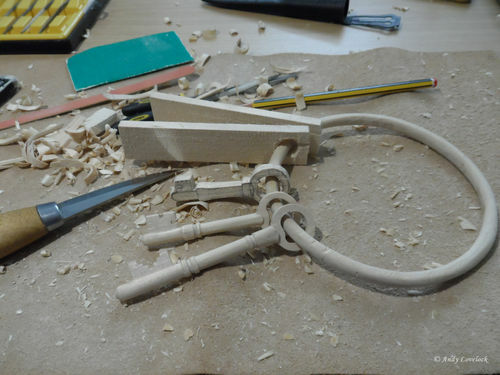 The extent to which this process is successful depends on the wood you are applying it to. If the wood has a high tannin content, it should work fine. If it doesn’t, you will need to take about 10 tea bags and brew a very strong cup of tea and add that to the mixture. In short, this method can work but it is often a bit hit and miss. I didn’t even try that method because I already knew that you can’t get any blacker than Indian ink. Not all Indian inks are the same mind you, so you need to do your homework on what they contain. My favourite for this type of application is Windsor and Newton which contains shellac. 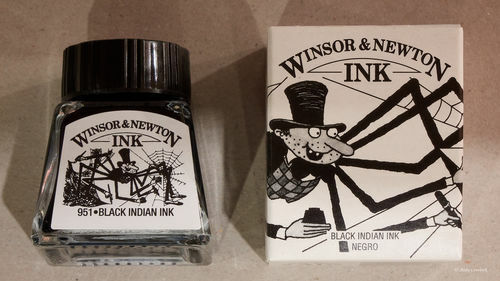 Indian ink is lightfast and highly water resistant once dry. I should point out that I intentionally only gave this piece a light sanding to P180 grit because I wanted the keys to have some imperfections and texture under the ink. 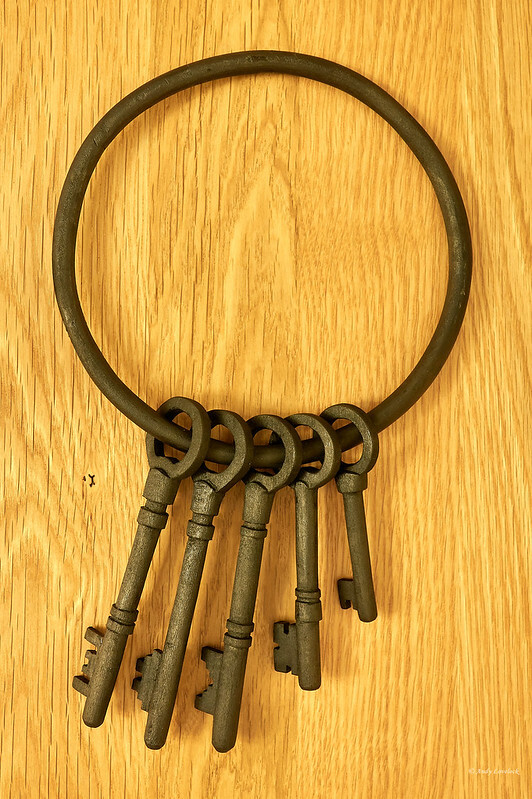 After all, when you look at old keys they aren’t exactly smooth. I applied the ink with a small flat brush (a little goes a long way) and gave it two coats. I’m really pleased with the way they turned out. The following photos link through to my Flickr page where you can enlarge them for closer inspection if you’re interested. 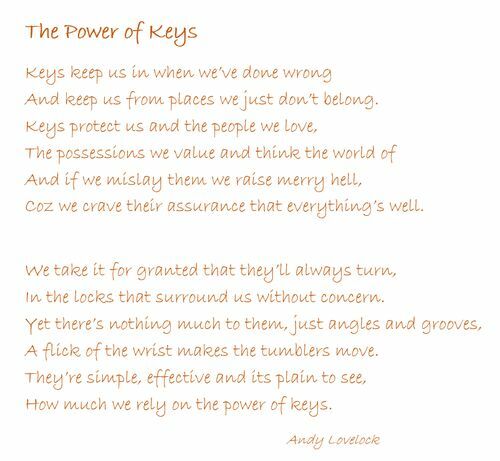 Whilst carving these keys I got to thinking about how much we rely on keys in our everyday lives and before I knew it, I’d written a poem. Really well done! Loved your story too. that is awesome! Patience is the key! Wow Andy, those are stunning! I second what Don said above, that took a lot of patience and the poem is very suitable. Amazing Andy. A really fine piece of work to be proud of. 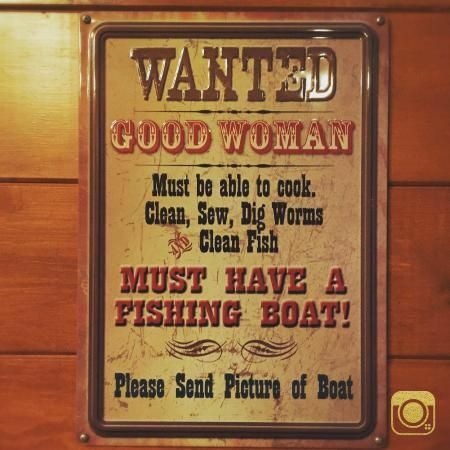 Also a great conversation piece to have hanging around the house. 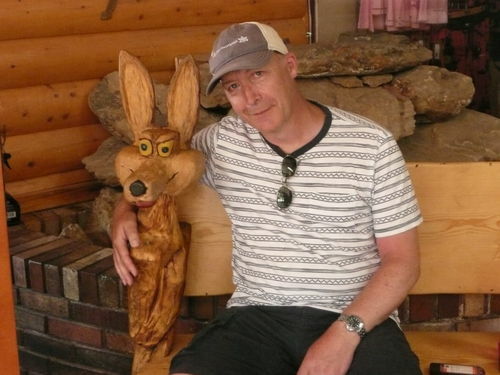 I lived in Utah (Sandy) for 5 years. Some truly spectacular nature, both alpine and desert. Great craftsmanship and patience Brit! Well done. Great project and well done. Thanks for sharing! Nice job on the keys, look plenty real. 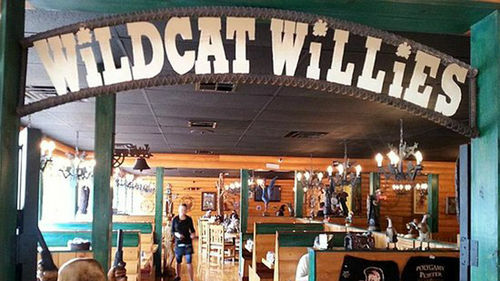 Never got to Wildcat Willies, we’ve been to Zion a number of times. 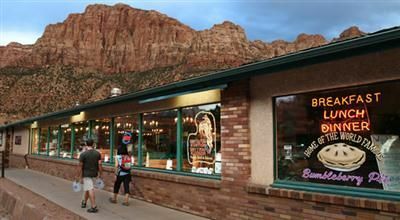 We go to Vegas 2 to 3 times a year, and Zion is one of our regular outbound trips, love the area. 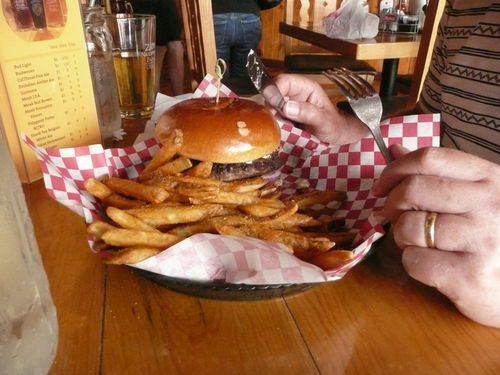 Burger looks pretty good, We’ll have to try Willies. Thanks for posting, and congrats on your 3. Very impresive! ...that’s a ’’hard jail time work’’ indeed! Fantastic workmanship! Now for the matching wooden lock??? Nice project with a good story behind it. I love whimseys but this is the first time I’ve ever seen keys! Great project to look forward to during this winter’s storms. Thanks for sharing!